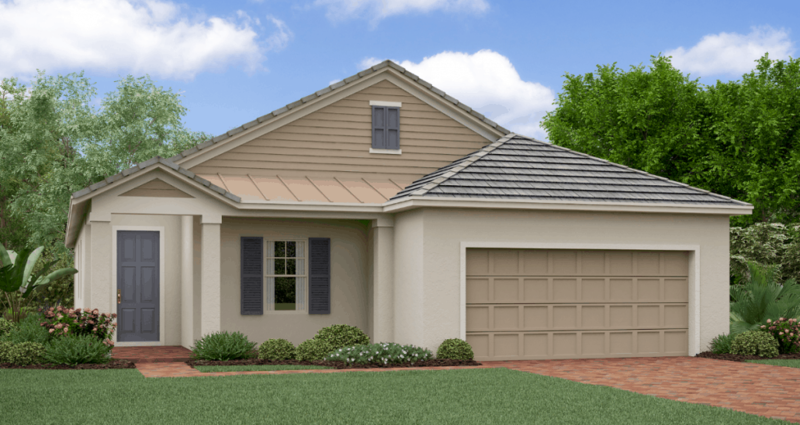 The Splendor is a cozy single-story, two bedroom, two bathroom, 1,783 square foot home. 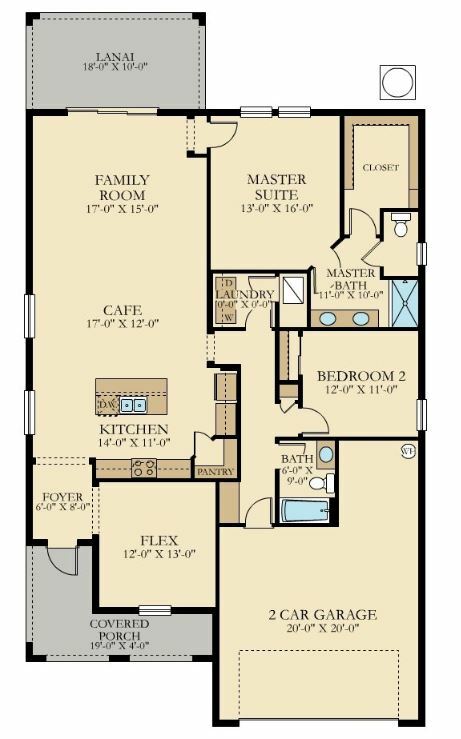 The spacious kitchen has a full pantry and stainless steel GE® appliances. This open-style floorplan allows full view from the kitchen, through the family room and out to the lanai. A flex room provides the perfect sanctuary, as it’s set away from the rest of the home.